EVER WONDERED WHAT DYSPHAGIA LOOKS LIKE? I did. 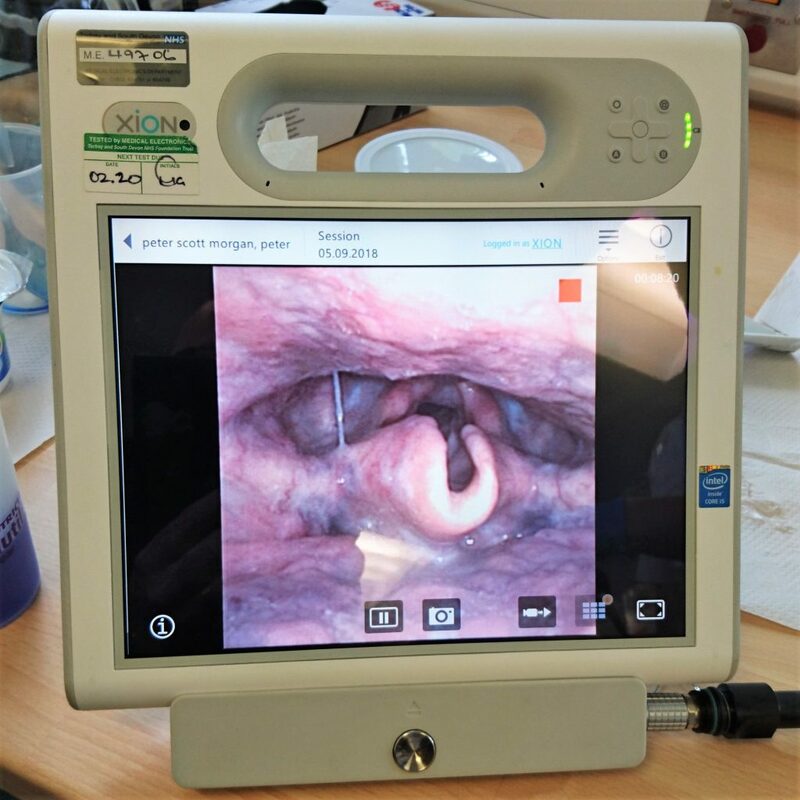 So, I’ve just spent a fascinating hour at @TorbaySDevonNHS with a fibreoptic endoscope shoved through my nose till it dangled above my voicebox. That’s the image you can see in the monitor. 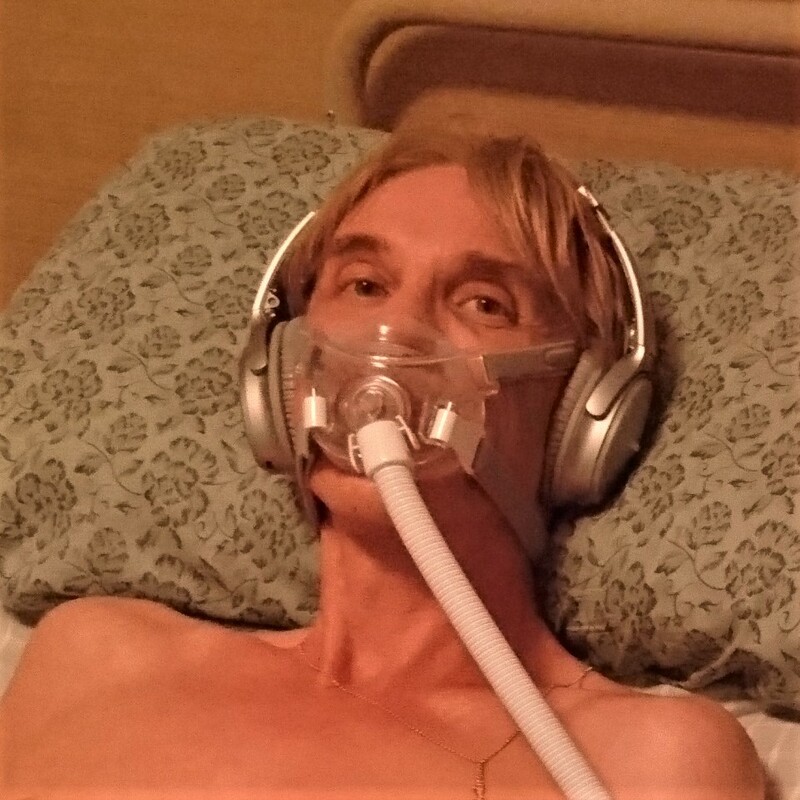 My #MND is changing my swallow – sometimes my windpipe stays shut far longer than it should. But thanks to modern science I can watch! How cool is that?!? 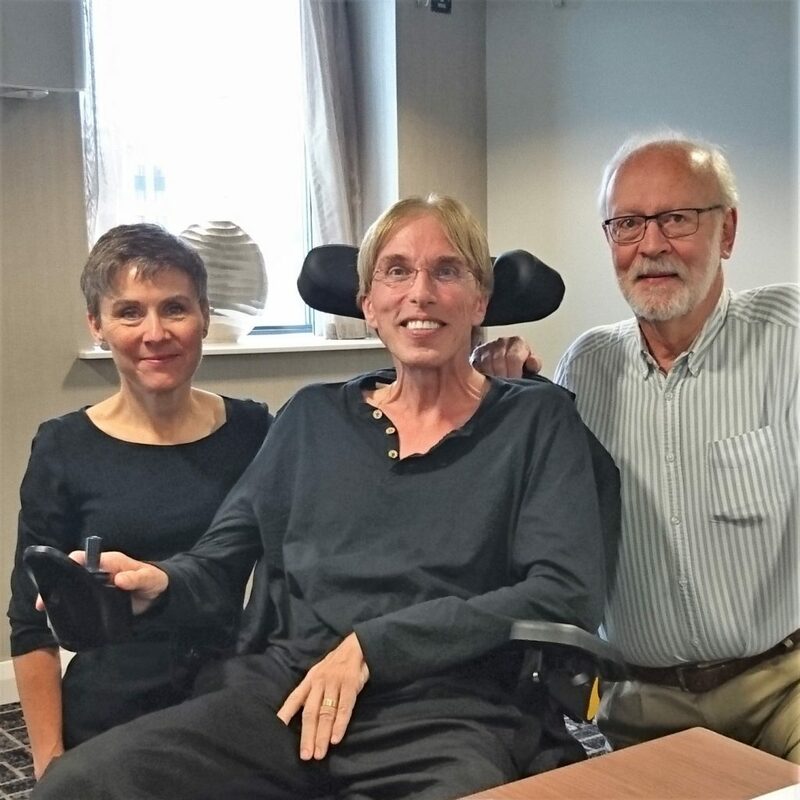 I’m just back from my first Board Meeting as a trustee of the MND Association, here in the pic with wonderful CEO @sallylight17 and equally wonderful Chairman Richard Coleman. 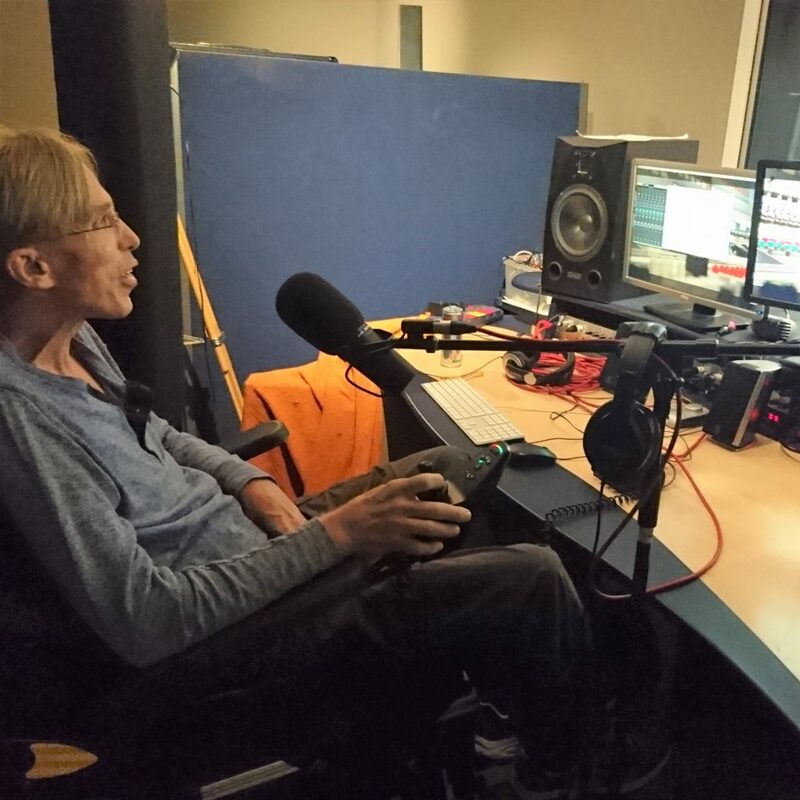 I’m utterly convinced that the Association is a unique catalyst to improve the world of #MND, including guiding #plwMND to THRIVE when we become Locked-In. Really excited! ‘M NOW ON 8-HOUR VENTILATION at night as I’ve only got 65% lung capacity. Heartfelt thanks go to the brilliant Jon Palmer at Plymouth Hospitals NHS Trust who is my vent expert. 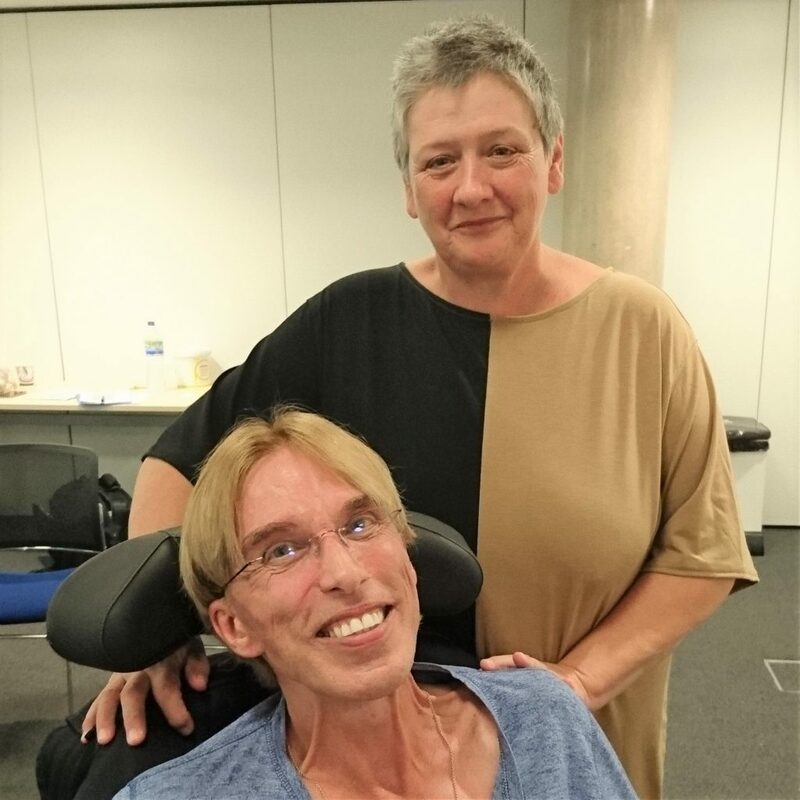 Far more importantly, he’s also Chair of the first UK-wide audit of tracheostomy ventilation in #MND. The deadline for input to the study is now only two weeks away, yet I learn that some centres STILL haven’t submitted data. You know who you are. SHAME ON YOU! This is VITAL research!! TALK ABOUT HI-TECH! This small #NHS gizmo has been giving me 8-hours humidified ventilation for the last week. 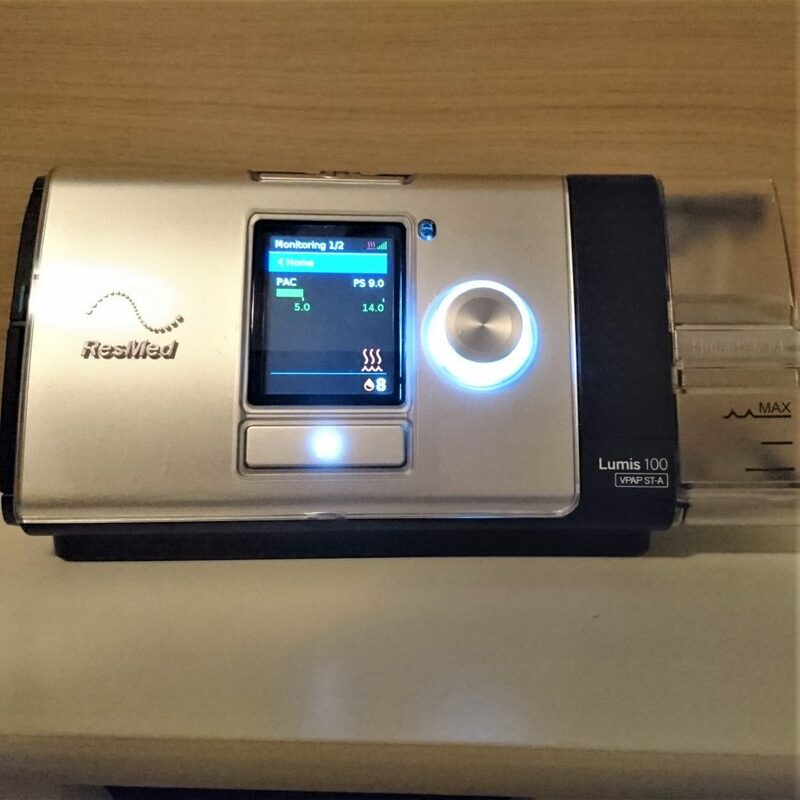 What’s amazing is that each day my vent team 40 miles away has been able to review my breathing throughout the night and as needed change any of the settings REMOTELY! VOICE BANKING – BUT NOT AS YOU KNOW IT! I’m spending 30 hours in this recording studio DiscoverHannahs to research how to add not just Expressiveness to my existing synthesised voice so I don’t sound robotic, but ALSO add some Personality. Really? Really. Really?? Yes, REALLY! See what I mean?! ?